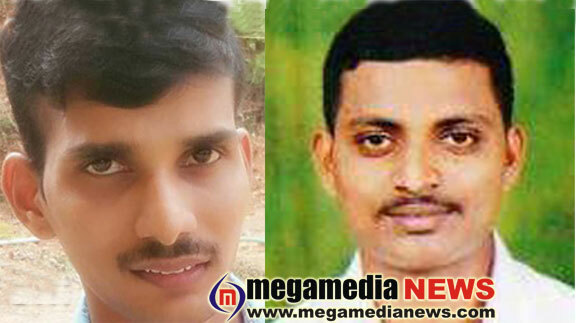 Udupi : The Udupi District Police have arrested two police constables in connection with the Kota double murder case here. Superintendent of Police Laxman Nimbargi said here on Monday that the two police constables arrested in the case were Pavan Amin (31) and Veerendra Acharya (31). Both were serving as constables in the District Armed Reserve (DAR) Police. Both Amin and Acharya had contacts with the accused, including Rajashekhar Reddy, Harish Reddy and Mahesh Ganiga, who were arrested earlier. The accused killed Bharat and Yatish over a dispute relating to a toilet pit at Mannur near Kota on the night of January 26. The constables also had contacts with another accused, Santosh Kundar, who is yet to be arrested. The accused, who murdered Bharat and Yatish, were given shelter by Amin in his house at Kuchur near Hebri on the same night after they committed the crime. Harish Reddy also called Amin over mobile telephone, and sought a SIM card, a mobile telephone, money and other items. Amin supplied these to the accused, through Pranav Bhat. The accused left in a car, which was arranged for by Acharya, to N.R. Pura. Acharya also arranged for the accused to stay in a house belonging to his relative there. While returning from N.R. Pura on January 28, Acharya helped accused Harish Reddy to hide mobile his telephone and other items. The police have recovered the hidden items from Amin and Acharya. The two accused constables were produced before court which remanded them in judicial custody till February 15. Meanwhile, the two constables have been suspended for dereliction of duty. With this, the total number of persons arrested in the case has gone up to eight, including Raghavendra Kanchan, Udupi Zilla Panchayat member from Kota, who was held on February 7.